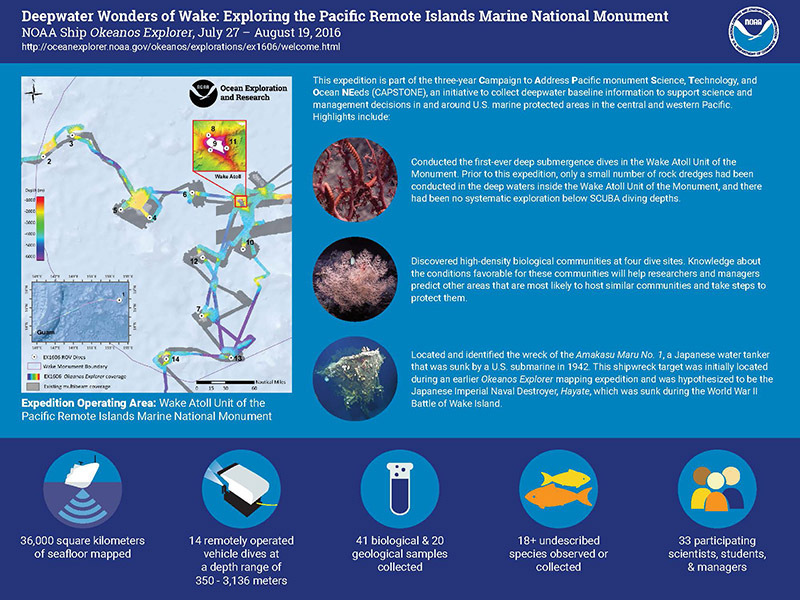 The 24-day Deepwater Wonders of Wake: Exploring the Pacific Remote Islands Marine National Monument expedition addressed science themes, priority areas, and exploration targets put forward by scientists and managers across the broad ocean science community. 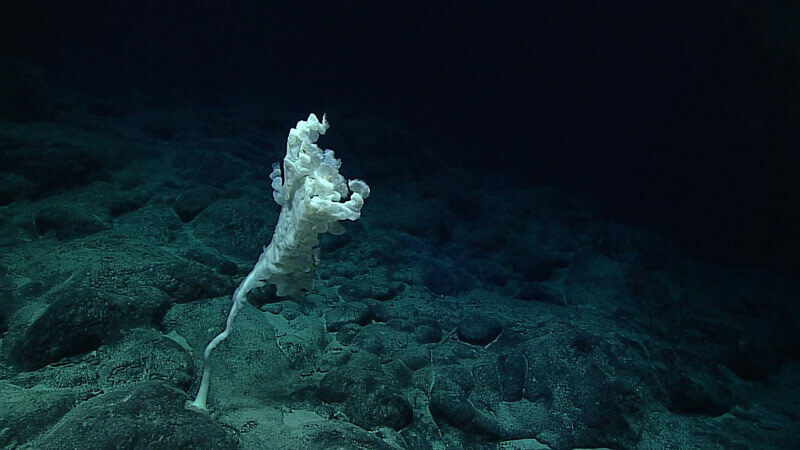 On August 11, the Okeanos Explorer team set out on a dive to search for the Japanese Destroyer, Hayate, which sank during the Battle of Wake Island reportedly in the area investigated during this dive. Instead, they discovered and explored a Japanese cargo ship, Amakasu Maru No.1. Disclaimer: I am not a geologist. I don’t even like rocks. 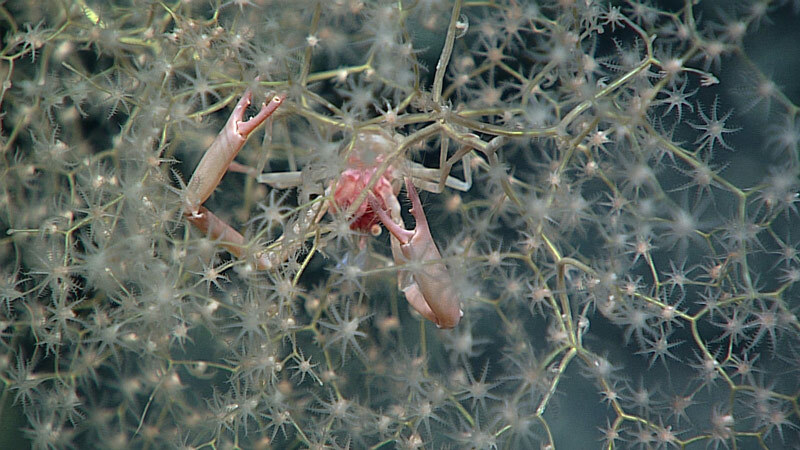 But I recognize that they’re pretty darn important and, in fact, without them, there wouldn’t be a whole lot of biology down in the deep sea. 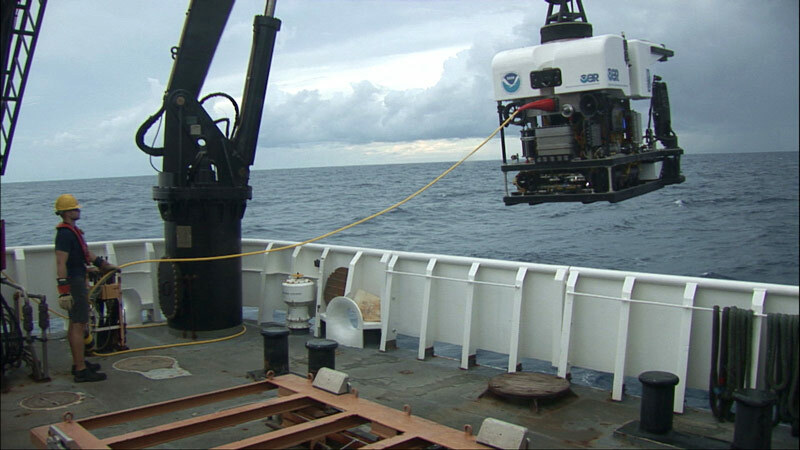 When remotely operated vehicle (ROV) operations are completed for the day, the ship’s exploration priority switches to collecting seafloor bathymetry and water-column data. Right around dinner time, the lead scientists and video team vacate the back row of the control room, and the mapping team steps in to begin an evening of work. 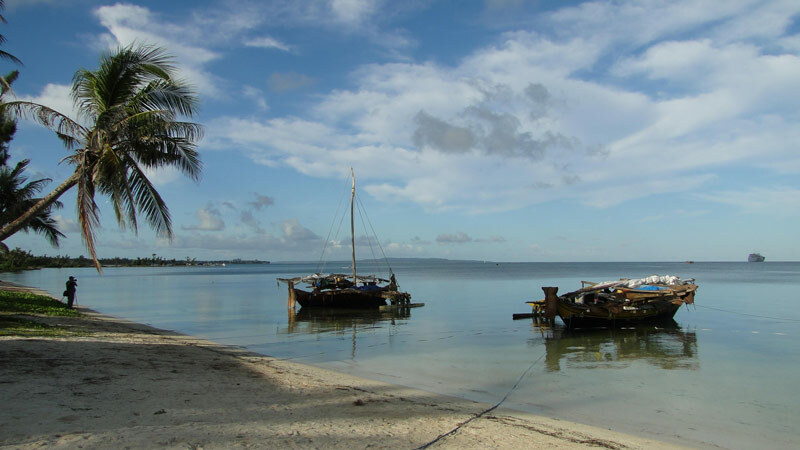 To Sail or Not to Sail—That is the Question! 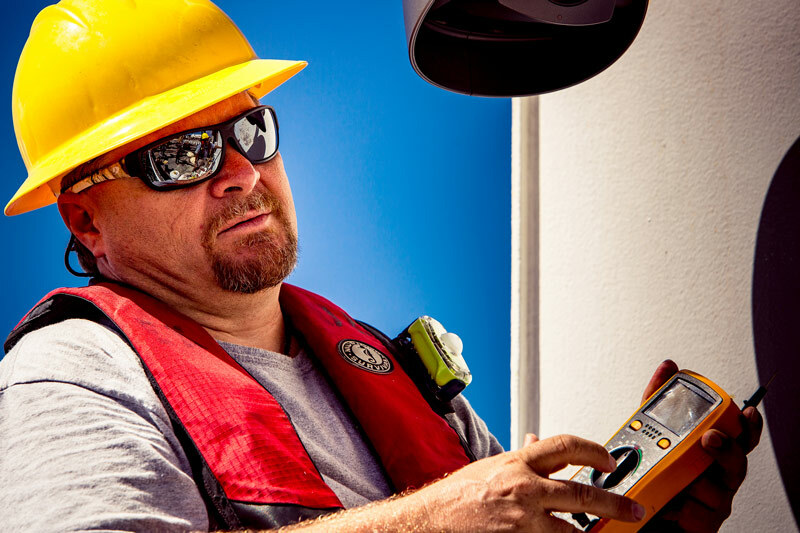 Even though life on the ship was busy, it was easy to leave work behind and immerse myself in ocean exploration 24 hours a day, seven days a week. So, how does it compare to being a shore-based scientist? This past May, I got a call at 8AM on a Monday morning. I usually don’t receive calls that early in the day, and so I almost didn’t pick up. But, boy, am I glad that I did. It was David Lovalvo, the founder and president of the Global Foundation for Ocean Exploration. He was offering me a job onboard NOAA Ship Okeanos Explorer. I have previously written a mission log wherein I compared the colony morphology of octocorals to trees. In this log, I’d like to illustrate another way that octocorals are similar to trees, in this case a structural similarity. While the ship’s crew, scientists, and engineers can prepare for months for a given expedition, not much can be done to prepare for poor weather conditions. 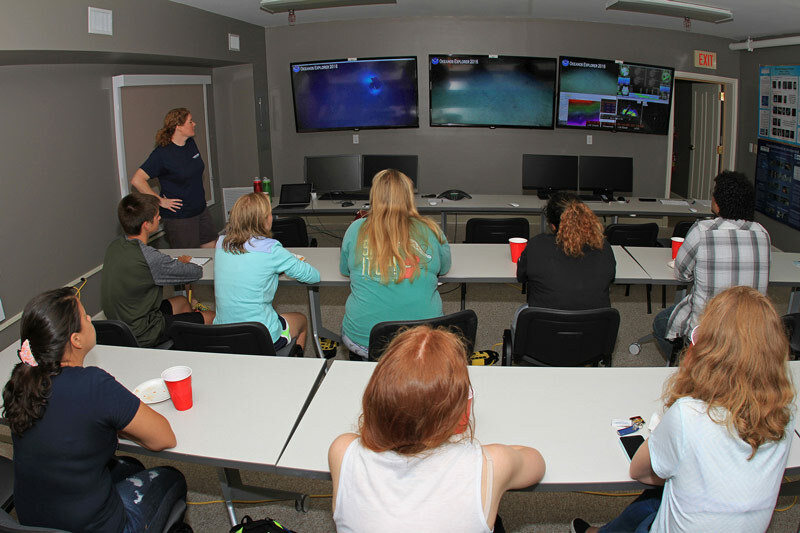 Expedition coordinators and bridge officers can adjust schedules and plan dives around weather days, but often weather can be unpredictable. 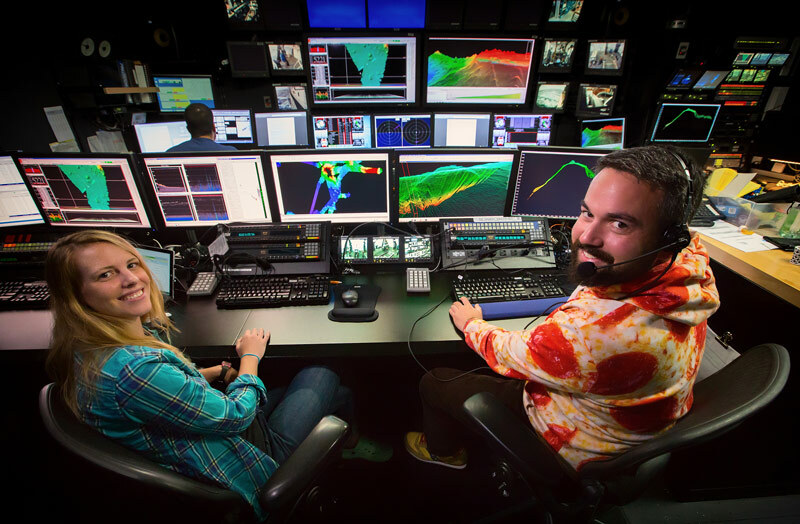 In order to get the images recorded on the seafloor to your screen, those images have been encoded transformed, re-encoded, retransmitted, and decoded numerous times during their 50-something thousand-mile journey from the seafloor to your eyes. Somewhere on a remote Pacific Island, a woman holds up her iPad to show a video of a newly discovered jellyfish to her village elders. 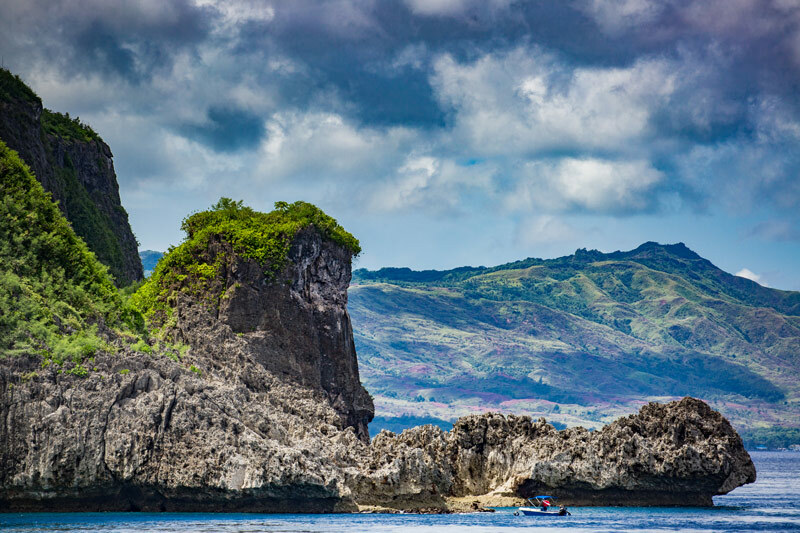 While they come from an ancient culture of traditional seafaring and navigation, the beauty of the images and the wonder of discovery enthrall them. Hello from the Western Pacific! 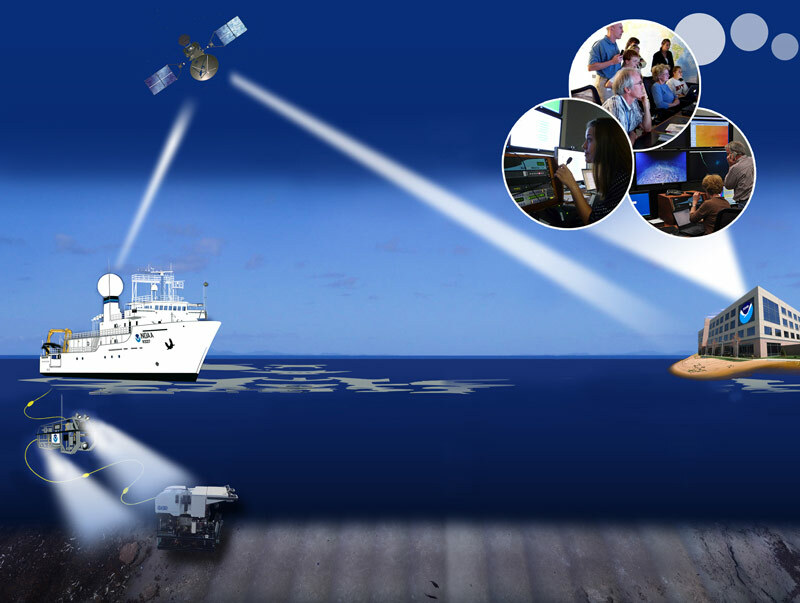 I am honored to serve in the NOAA Corps and aboard NOAA Ship Okeanos Explorer. I serve as the Operations Officer (OPS) here aboard ship and would like to give a brief description about my duties and my typical day at sea.